You can’t be 100% certain. 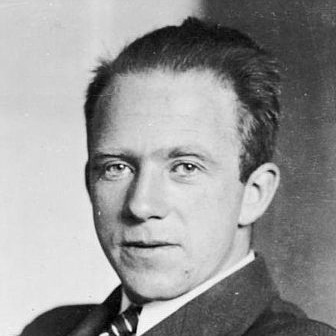 Werner Heisenberg made this point in his experiments with subatomic particles. Heisenberg stated while you can approximate both the velocity and position of a particle at a specific instant in time, it is impossible to exactly measure both. The more tightly you focus in on one measuring one aspect, the less certain you can be about the other. Further, the simple act of measurement itself will alter the outcome. I believe this theory has some interesting implications for marketing professionals. As we move into a digital world, there are so many things we can measure about people. What they say, who they are friends with, what games they play online, what they “like” on Facebook, what they Tweet about, where they check-in on Foursquare, and on and on and on. This data opens up immense potential to understand more about people. The data that is being gathered and analyzed is producing mind-boggling insights about our collective and individual behavior. This data is extremely valuable, and represents the future direction of business. Yet it is not perfect, and never will be perfect. Like subatomic particles it is simply impossible to measure and predict what humans will do with 100% certainty. The greater emphasis that is placed on one single motivational factor, the less certain you can be about others. You can assess probabilities about what will happen, but the reality is you never know. Although you can’t be certain, that does not mean you should just blindly guess or abandon measuring all together. Measurement is a critical part of marketing, and one that is rapidly getting easier and much more useful. You can now have a better understanding of what to sell, what price point to use, what channels are most effective, what people love and hate about your brand, and so much more. You can monitor opinions, gauge performance, and collect sales information in real time from all around the globe. You can learn a great deal from data – but you can’t learn everything. You can never completely eliminate the risk of the future no matter how much you measure. Yet everyday businesses regularly find themselves in a state of paralysis by analysis, searching for the perfect answer instead of actually acting on a probable outcome. They are unwilling to take risks until the course of future is seemingly certain – which, of course, is an illusion. We can’t measure the future. What we can do is continuously use data to be reasonably confident in probability, realistic in expectation, and responsive to the results of our measurements. We look for trends. We address the obvious. We dig deeper where appropriate. But we realize that we can’t ever be certain. Perhaps you can simply use the teachings of Heisenberg to move you from waiting for the perfect answer, the ideal scenario, the one big chance to accepting the uncertainty of the universe and choosing to make something happen. You never know what might happen.